Bring on the holiday breakfasts! 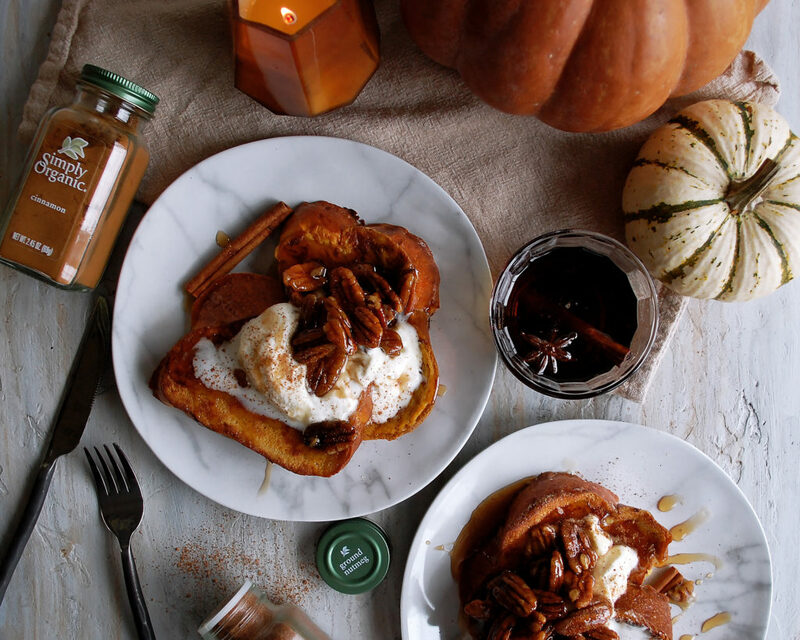 …with this pumpkin French toast as the main star, of course. I don’t know about you guys, but this is exactly the time of year I start craving really comforting breakfasts. The holidays are right around the corner, more family is usually around, and the temperature has dropped just low enough to warrant some extra cozy mornings. 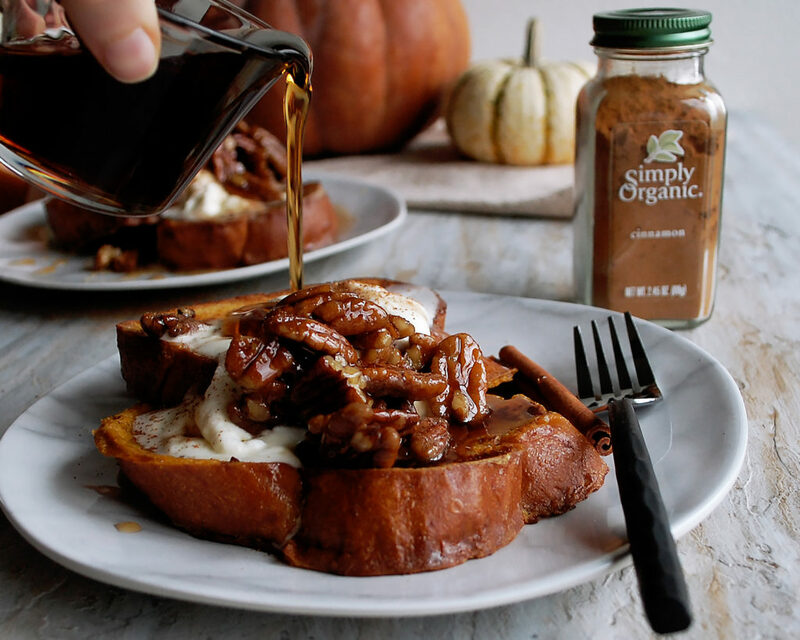 I’ve made a few pumpkin recipes this fall so far, like this cake and this soup, but this pumpkin French toast really hit the spot. 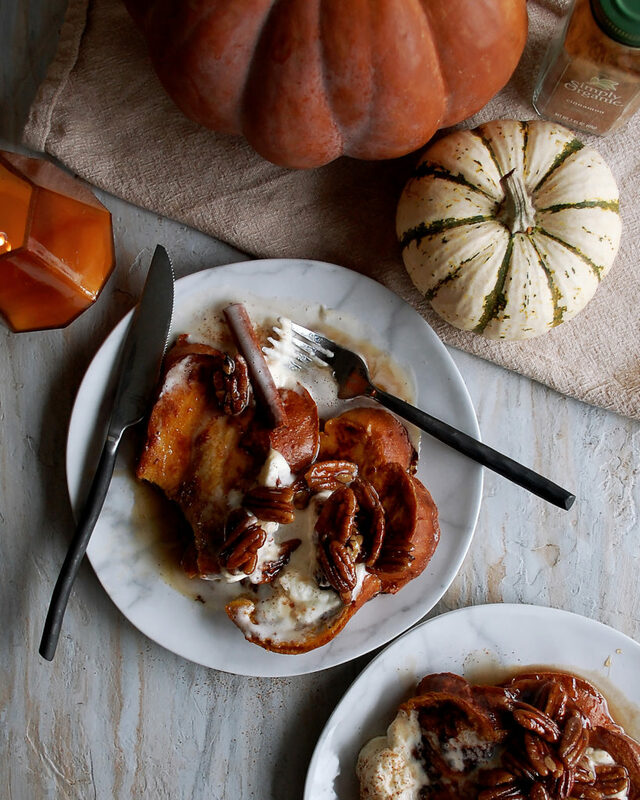 I used Challah bread for a rich, custard-like texture, and the pumpkin custard is sweet and lightly spiced with Simply Organics cinnamon and nutmeg. The bread gets dipped in the custard and cooked in a little bit of butter before being baked in the oven. Nothing crazy about it, just simple, really delicious flavors. 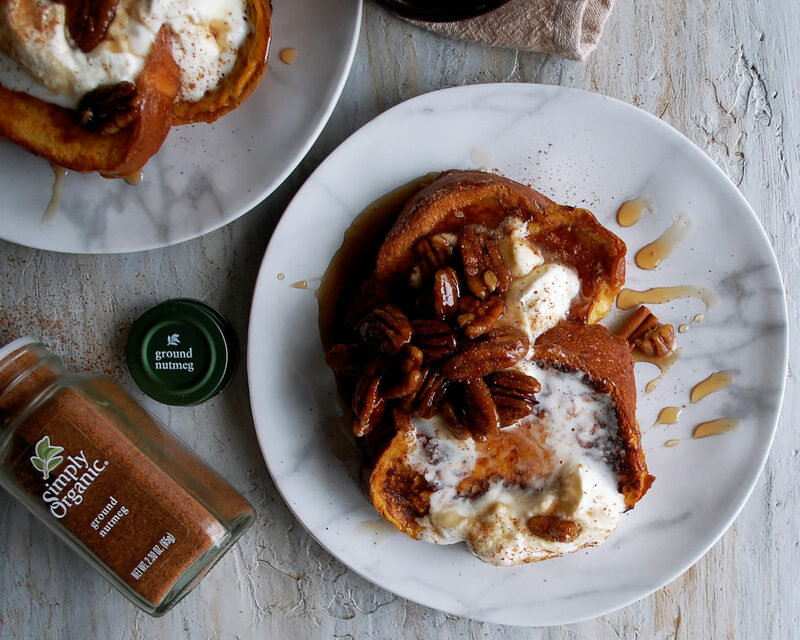 To top the French toast, I infused some maple syrup with warming spices and threw in some pecans as well. The finishing touch is homemade whipped cream. 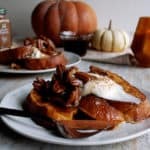 My trick with whipped cream for this pumpkin French toast is keeping it really soft, meaning you’ll only whip the cream long enough to reach soft peaks. 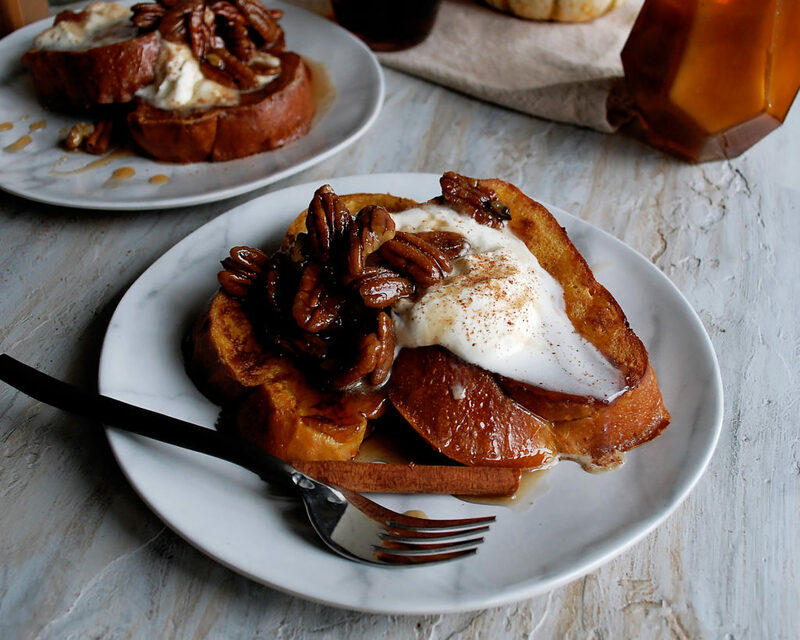 If you beat the cream too long, it will become stiff you won’t melt as nicely over the French toast. I love adding it on top instead of butter because it basically melts into this creamy vanilla sauce. I honestly cannot wait to make this on Thanksgiving morning. Yes, we do eat a big breakfast on Thanksgiving morning! 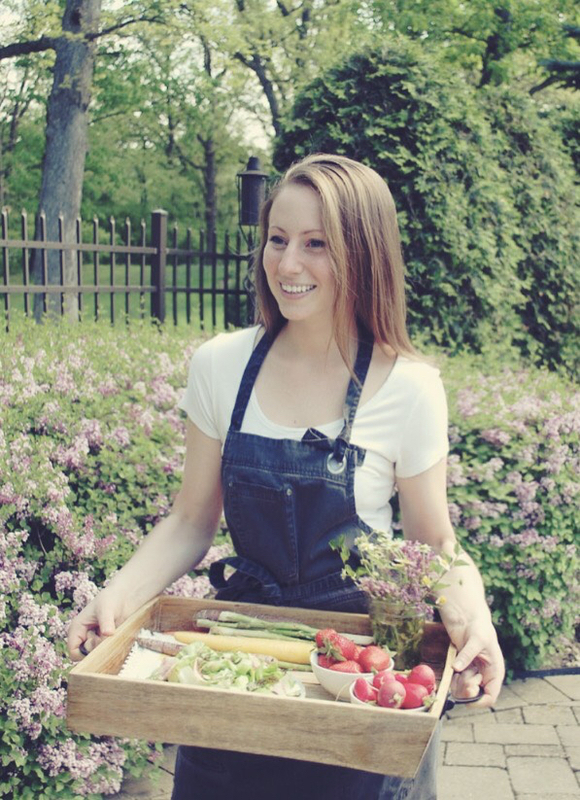 Which turns into snacking while making the main meal, and then lots more eating during dinner…and dessert. 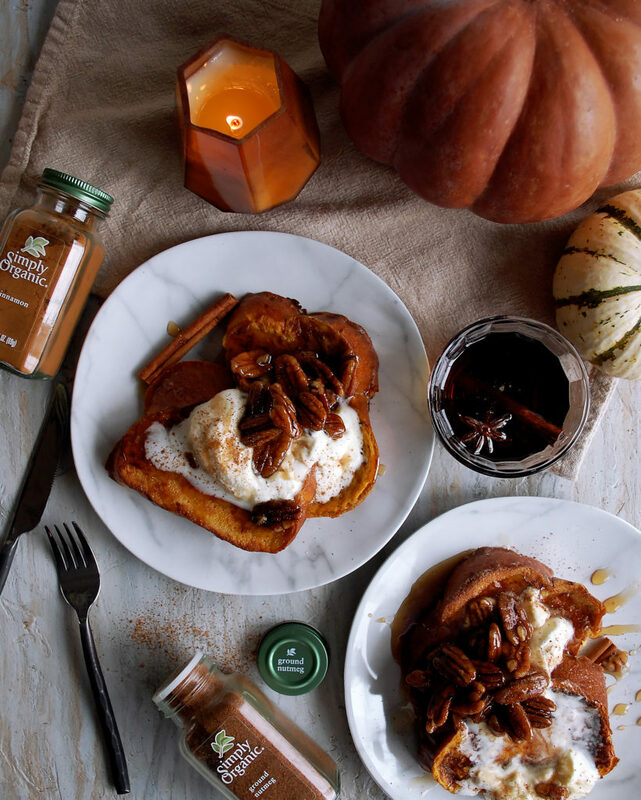 So, basically this pumpkin French toast serves as the best start to the best day of the year! Combine the syrup, cinnamon stick, star anise, and cloves in a small saucepan. Bring the syrup to a gentle simmer over low heat. Simmer for about 12 minutes until the flavors infuse. Spoon out the spices and stir in the toasted pecans. Let simmer for another 5 minutes. Keep warm until serving. Preheat the oven to 350°F. Line a sheet pan with a piece of parchment paper and a wire rack on top. Line another sheet pan with a piece of foil. In a large mixing bowl, beat the eggs. Add in the pumpkin puree, whole milk, cinnamon, nutmeg, vanilla extract, and maple syrup. Whisk until smooth. Working in batches, submerge the slices of bread into the egg mixture for about 30 seconds. Transfer the bread to the wire rack and repeat with the remaining slices. Heat a griddle over medium heat (or you can use a large sauté pan). Add a tablespoon or two at a time to coat the surface. Once the butter has melted and is bubbling, place the bread onto the surface, about 1” apart. Cook until golden brown, about 2-3 minutes per side. Transfer the bread to the foil-lined sheet pan. Bake the French toast for 5-6 minutes, or until cooked through. Meanwhile, at the last minute, add the cream to the bowl of a stand mixer. Using the whisk attachment, beat the cream until very soft peaks form. Whisk in the sugar and vanilla extract. Stop whisking once the cream has turned to soft peaks. I like to keep the whipped cream really soft, so be careful not to whip too long. 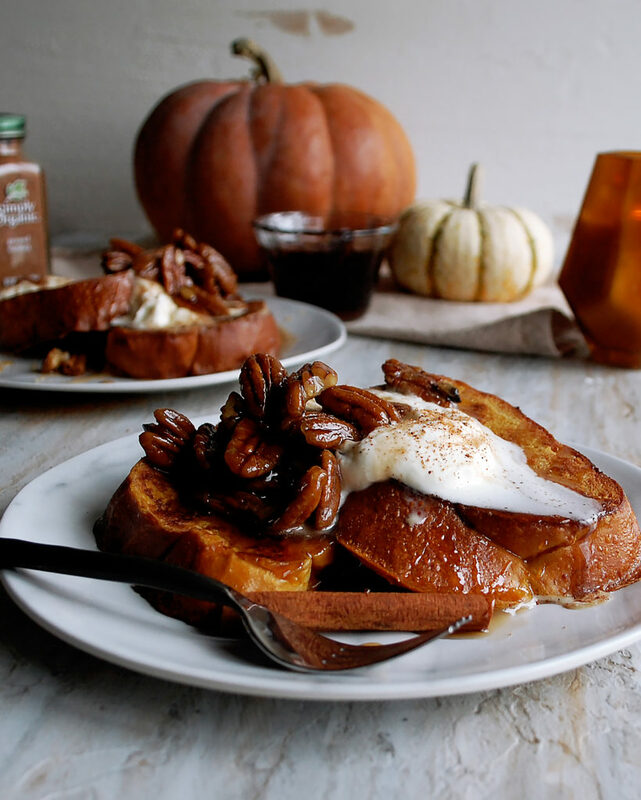 Serve the French toast with a dollop of whipped cream and a drizzle of the spiced maple syrup and pecans.